Blogging is a global phenomenon. Over one million blog posts are published every single day. Recent estimates calculate the number of blogs that exist at nearly 200 million. While there are many blogs that are dormant and cluttering cyberspace, the competition among the best blogs online today remains fierce as the audience, hungry for relevant and helpful content, continues to grow. Blog is short for weblog, a term credited to American blogger and editor of Robot Wisdom Jorn Barger in the late 1990s. Barger’s Robot Wisdom is an early influential blog that launched in 1995 and featured essays and resources on James Joyce, artificial intelligence (AI), history, Internet culture, hypertext design, and technology trends. A couple years later after Barger introduced the term, Peter Merholz shortened weblog to blog. Before the beginning of the new millennium, it became common to use the term blog both as a noun and a verb. Basically, blogs are discussion or informational websites that feature content written, created, and curated by individuals or teams of people focusing on a set of topics. Prior to 2009, almost all blogs were the work of individual bloggers. In 2010, multi-author blogs(MAB) began to develop and surface in greater frequency on the World Wide Web. Businesses and institutions now account for a growing number of blogs, often marketing companies, services, or opportunities. Blogs differ in types and content as well as in how the content is delivered, written, and created. Personal blogs are generally written by an individual, sharing their observations, thoughts, and commentary on a topic or series of subjects. Personal blogs generally have a smaller reach and limited audience, unless an influential person writes them. However, a small number of personal blogs have garnered immense popularity and attracted lucrative advertising sponsors. In an increasingly digital world, bloggers can acquire a level of notoriety and fame in the real world, as well as online. 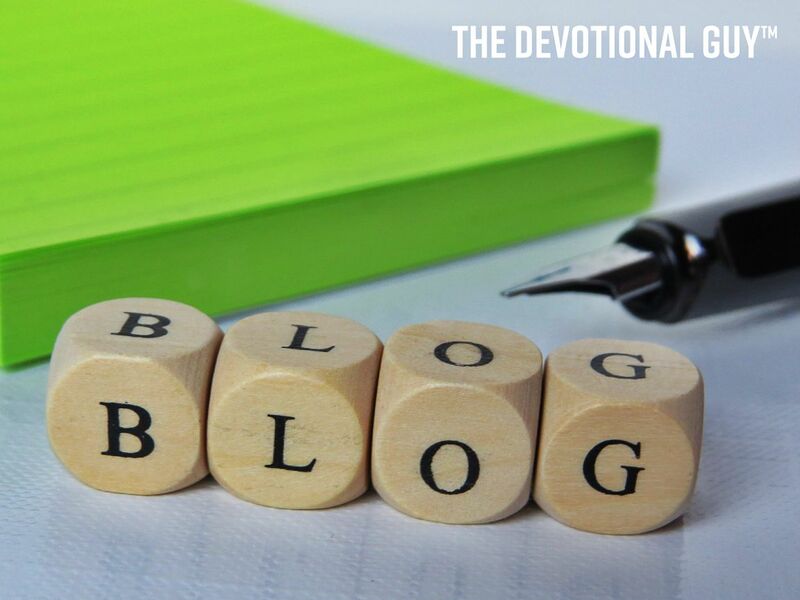 My blog, The Devotional Guy, is an example of a personal blog. BeautyBeyondBones, Unleashing the Next Chapter, and Seth’s Blog are a couple of other examples that I enjoy reading frequently. There are many others in addition to these, like FitRecovery, RabBits, and The Recovering Legalist are couple of others I read regularly as well. Multiple-author blogs first surfaced in 2010, and as the title indicates, feature more than one author. Multi-author blogs tend to focus on one overall them like technology, politics, or advocacy. With the advent of smart technology, multi-author blogs have benefited from the increased ease of collaborative work. People like to work together with other people for some common purpose or greater good. No doubt, the pooling of talents and treasures makes maintaining a popular site simpler and often translates into a bigger audience. The Huffington Post’s HuffPost is an example of a multi-author blog. Microblogging features short, spontaneous posts that help people keep in touch, coordinate business meetings, create flash mob events, and a host of other things, limited only by an individual’s imagination. Twitter and Instagram are notable examples of this type of digital content. Businesses, non-profits, and government agencies make up an increasing number of new blogs communicating in cyberspace. Company and organization blogs can be private and used for internal purposes only. They can also be used to market, communicate, and promote companies and organizations. Coca-Cola’s “Unbottled” is an example of a corporate blog. You can find additional examples of corporate blogs, here. Your church may produce a blog that features content written by your pastor or other ministry leaders. Examples of non-profit blogs include John Hayden, Nonprofit Quarterly, and the GuideStar blog. You can learn more about non-profit blogs here. That’s just a few examples of the different types of blogs that populate cyberspace. Here is a list of the most popular blogs in all of cyberspace for the month of May 2018. If you’re a writer, checkout this list of popular author blogs.